Connor's prompt attention to your group's needs will help you keep the trip on track. Classroom-ready study materials written by teachers make prepping students easier. 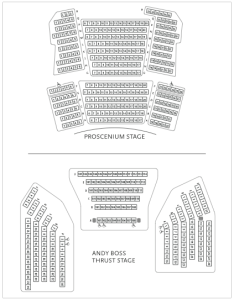 Seating charts and tickets are mailed in advance to help you plan. Bus directions and details for many nearby lunch options are sent weeks ahead. Amenities include: playbills, reserved/ushered seating, and concessions available for purchase at intermission.